McDonald's Corporation today announced that Ralph Alvarez, president and COO, has been elected to the company's Board of Directors, with his service effective immediately. Alvarez, 52, fills the vacancy created by the passing of board member Edward Brennan last month. Following a vote today by the McDonald's Board of Directors, Chairman Andrew McKenna says, "Ralph's unique business perspectives and his in-depth knowledge of the global restaurant industry make him a highly valued addition to McDonald's board of directors. He has an outstanding track record of results that will further enhance the effectiveness of the board." In his current role as McDonald's president and COO, Alvarez has oversight and responsibility for the more than 31,000 McDonald's restaurants around the world. 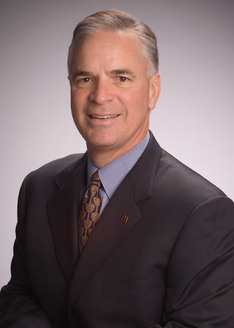 He was promoted in 2006 after serving as President of McDonald's North America. Prior to that, he was President of McDonald's USA. He joined McDonald's in 1994 and has held several leadership positions during his tenure with the company. Alvarez serves on the president's council and the International Advisory Board of the University of Miami, his alma mater, where he earned his bachelor's degree in Business Administration. He is also a member of the Board of Directors of KeyCorp.